Bento for Kidlet: Happy Holidays!! Cookies from the Great Christmas Cookie Baking of '09! I will post more about these on the 31st. 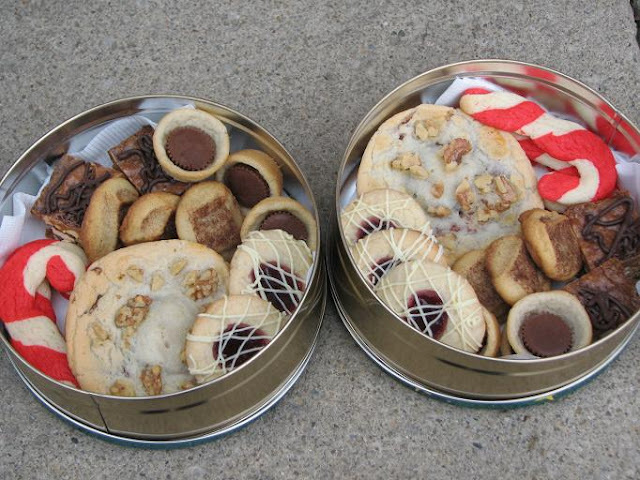 These are the tins we sent to our neighbors. 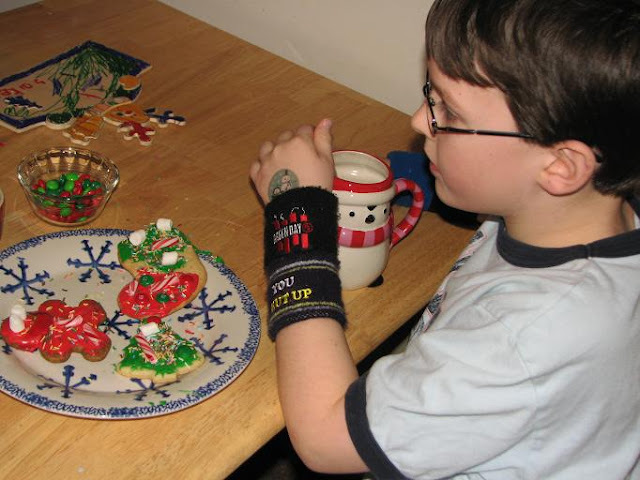 Kidlet had some friends over last week to decorate cookies and have cocoa. They had a great time! 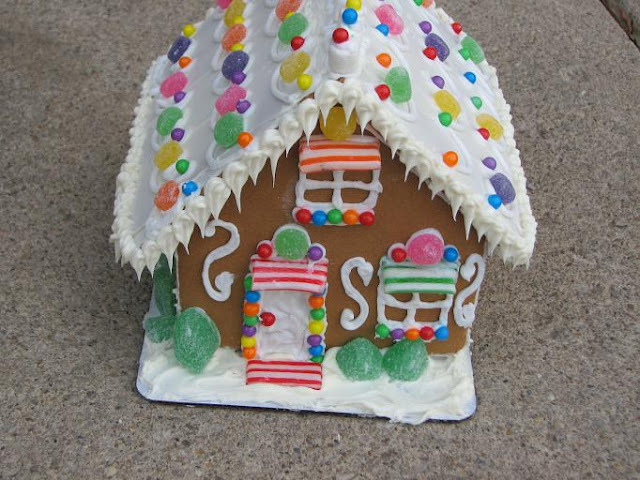 And our little gingerbread house! It came together really nicely this year! Kidlet only helped with 1/2 because his friends came over partway through and he asked if I would finish it. Wow cute and colorful house! I want to live in the gingerbread house. Did you only two make it!? Great!! 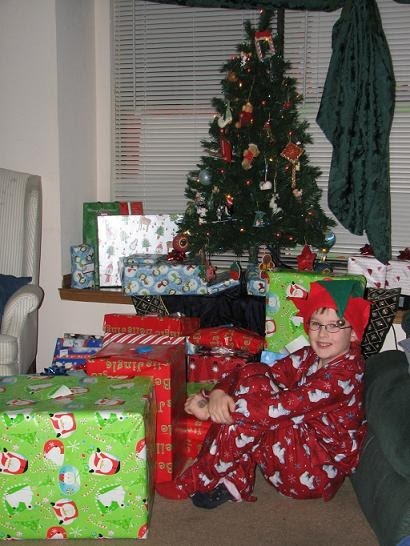 wow.. your son have a looot of christmast present..
LOL! They aren't really all for him :D We had a lot of family come over to open presents! It was from a kit! I spent the whole holiday in the kitchen baking other things so there was no way I was making a gingerbread house too! I love the candy cane cookies - my grandmother would make these every year. You have a nice selection!